Eureka Springs, Arkansas is quickly becoming known as one of the best spots for mountain biking in the Ozark Mountains. With a wide variety of trails for mountain bikers of any experience level, from beginners to experts, Eureka Springs is a perfect spot to start exploring the hills of northwest Arkansas. If you are looking for a fun and fit outdoor adventure, or a unique Spring Break trip, check out the many NEW mountain biking trails in Eureka Springs. Eureka Springs’ most comprehensive downhill trails are located at the Lake Leatherwood Gravity Trail. This trail system features seven distinct trails, catering to advanced mountain bikers. Access from Lake Leatherwood. Riders must negotiate the climb on Miner’s Rock access road to the top. The fun begins there! All seven trails are about a mile in length. To access the Downhill trails, parking available at Leatherwood Sports Field or at Miner’s Rock Parking Lot and coordinate a shuttle ride up to the entrance of the Downhill trails off of Hwy 62W. The Great Passion play is currently working on the construction a series of hiking and mountain biking trails on the Passion Play grounds. Renowned mountain bike and recreational trail builder Tony Boone and his crew completed building the first 5-mile loop. Future planes include what will end up being 18 miles of trails on the almost 700-acre complex of the Great Passion Play in Eureka Springs, Arkansas. Several trails are now complete with more soon to come. 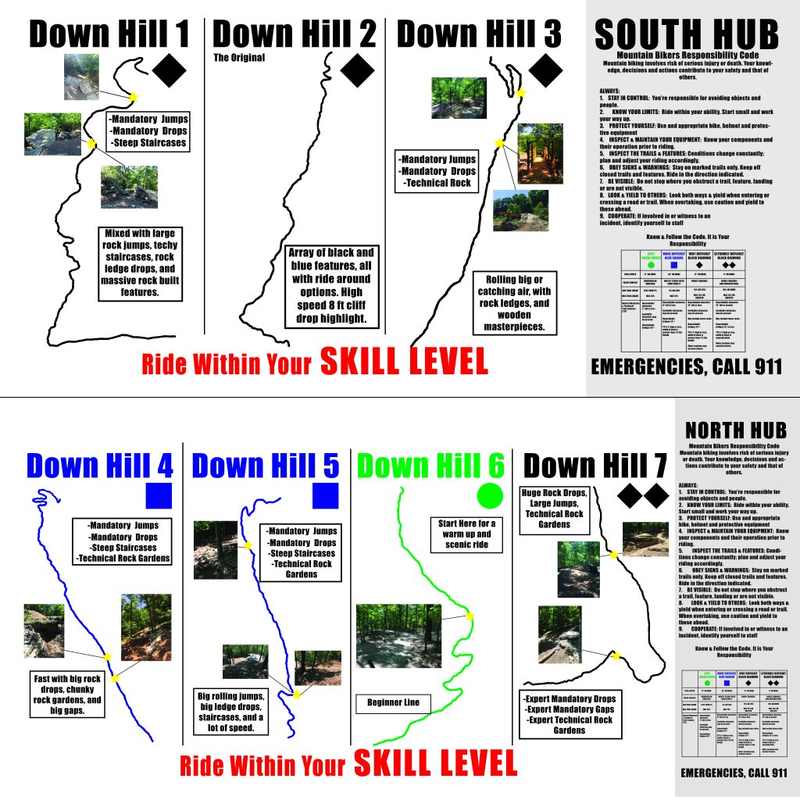 For more information on the trails, check out this Interactive Mountain Biking Trail Map.